There’s no doubt that the Internet of Things (IOT) is asset to have a massive impact on the Insurance Industry. But until now the psychological effect on the sector seems to have been greater than its actual impact. Witness the 70% of insurers who, in a recent survey, thought gathering IoT data was ‘important’ to their organisation’s current insurance strategy, compared to the 5% who said they actually ‘use it’ in their analytics. That is not to say IOT is currently just hype. Telematics, wearables, industrial sensors and smart devices in the home are all phenomena that are here to stay. The technology is real and it’s with us all the time, gathering data about our everyday lives and our environment. And if the rate of uptake continues as expected, by 2020 up to 50 billion connected devices across the globe will be generating 194,000 exabytes of data each month. As a result, the excitement surrounding the effect of IOT on the insurance market has not abated. There have been amazing results reported following the successful integration of Telematic data into Insurtech motor insurance algorithms, with cheaper premiums now available for demonstrably safer drivers. Customers have saved huge amounts of money and the industry has identified new opportunities and efficiencies. But the opportunities presented by access to remote-sensor data can only come to pass when it has been successfully integrated into insurers’ data gathering processes,IT architecture and day-to-day business operations. The single biggest impediment to the adoption of this technology by incumbent insurers has been the ability to actually integrate its gathered data into their ageing, legacy IT systems. And it might be the commercial imperative to connect to this insight-rich, real-time stream of customer data will be enough to make this happen. When it does happen, insurance process platforms capable of connecting different systems and data quickly and efficiently will help incumbent insurers better manage risk, create more personalized insurance offerings and offer more tailored service to its customers. New sources of data combined with analytical capabilities will enrich the repositories of information managed within these platforms, helping insurers gain deeper insights into each customer and understand how to better segment their markets. With data streaming into more agile digital systems, the above-mentioned analytical capabilities will be key. Insurance process platforms that offer powerful machine-learning technology capable of analyzing all kinds of data will help insurers optimize processes, increase productivity and create newfound operational efficiencies. But even in the age of Artificial Intelligence, it won’t just be machines who will be using the data to learn about and improve customer experience. McKinsey points out that the insurance industry will have to lever all their available resources to make use of the insight. McKinsey anticipates cross-organizational approaches to the design of products emerging within these newly agile companies. They imagine skilled front-line staff helping to identify opportunities suggested by the data and mapping out new products and customer journeys. According to McKinsey, one large insurance carrier saw a 30%increase in adoption rates when front-line employees joined a cross-functional team engaged in defining new use cases in this way. The Internet of Things, therefore, is likely to drive creativity within the industry and really challenge incumbents to understand more deeply what their customers want from them. With the drive to realize the benefits of IoT, and old business models being threatened by hyperscale market entrants, it is likely incumbent insurers are seeking deeper partnerships with specific tech providers. Without the access to hardware these insurers will need to work with the manafacturers of cars, domestic devices, wearables and other connected instruments to tap into new data streams. The presence of so much real-time data will inevitably change the nature of insurance. There is already much talk about the safety of Autonomous Vehicles eroding premiums and, maybe, the need for car insurance altogether. In the brave new world of AV technology, the focus of insurers may well shift from vehicle owners to manufacturers. This has implications for how insurers’ business models and how their products will need to be managed. In the longer term, the Internet of Things and the intelligence it promises may well play a central role in helping insurers transform themselves from providers of indemnification products to providers of solutions that help consumers and companies prevent and mitigate risk. One thing is certain though – the adoption of IoT by incumbent insurers will require the embrace of a complex ecosystem of vendors and solutions that will propel the sector into a faster and more innovative future. 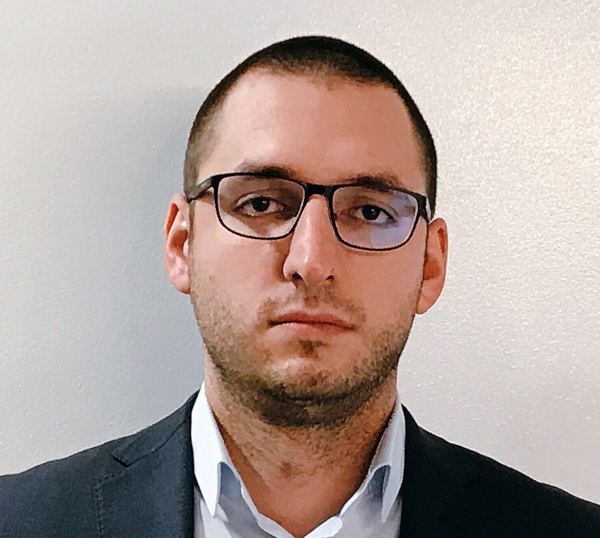 Viktor Ivanov is Head of AI Development Department at Fadata, where he leads a research and development team working at the intersection of artificial intelligence and insurance. He has more than 10 years of industry and academic experience in information technology, banking and insurance. Viktor obtained his MSc from Delft University of Technology.